One of the many clubs set up at St Paul’s was the St Paul’s Club, the aims of which was ‘the improvement of the young men of the parish, intellectually, morally, and physically’. It was established by the Reverend Charles Archibald Tisdall, who was curate at St Paul’s from 1892 to 1897. St Paul’s was his first position in the church, and he was a self-declared believer in ‘muscular Christianity’. Tisdall believed that the churches should be doing more to ‘counter the attractions of the colony’, and set up the St Paul’s club to provide boys with training for athletics and other sports, and provided a gymnasium, smoking and reading rooms, containing 200 books, at the Sydney Street Schoolroom. Cribbage boards, cards, draughts, and chess were also provided, ‘whilst many members amuse themselves with an air-gun’. There was also a minstrel group called ‘The Sunflowers’. In 1897 the club had 75 members, and Tisdall claimed that ‘the result of the training has been most marked, members having been won over from questionable associations’. 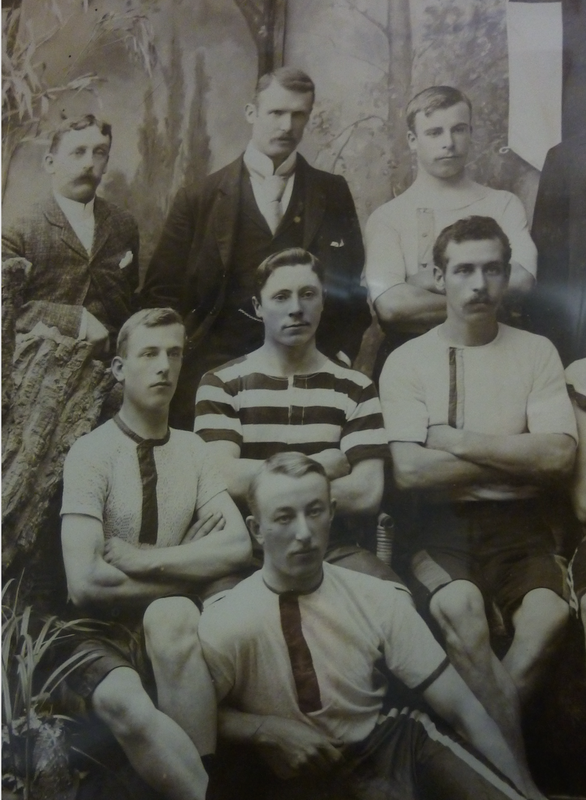 There is a large group portrait of the winners at St Paul’s Club amateur athletic sports day in 1895, stored at the Alexander Turnbull Library. 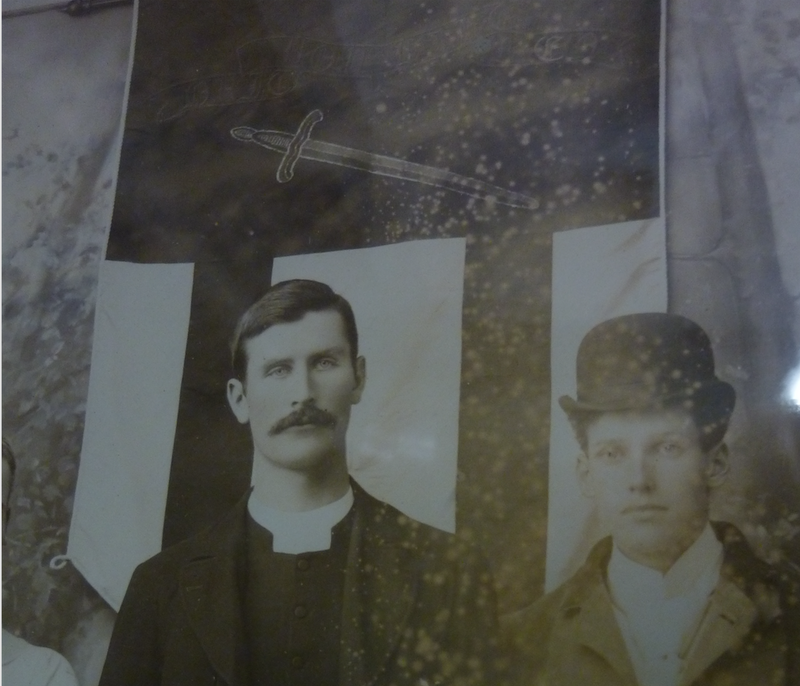 The banner that can be seen in the image behind the Reverend was presented to the club by Bishop Hadfield, and contained the motto of the club ‘Quit you like men; be strong‘ (meaning ‘behave like men’). I am not sure whether the banner still exists – if anyone knows where it is, let me know. For a lovely image of Tisdall’s special travelling Holy Communion three piece set, which is now owned by the Kinder library in Auckland, see Kinder Library’s blog. Information and top image: The Cyclopdedia of New Zealand [Wellington District], 1897.